A list of all the men from Sudbury who lost their lives during the Second World War. Compiled by Shirley A. Smith. © Sudbury and District Royal British Legion, October 2007. Harry was born in Bures St. Mary, Suffolk in 1898, the son of Harry Charles and Eliza Alleston. His father was a gardener/labourer and in 1901 he was living with his parents and younger sister Maud in Sudbury Road, Bures St. Mary. Hubert Bayfield lived in Sudbury in Priory Walk. He was the only son of Mr. and Mrs. H. A. Bayfield. His parents had a ladies wear shop in King Street, where Winch and Blatch Ladies fashions are today. 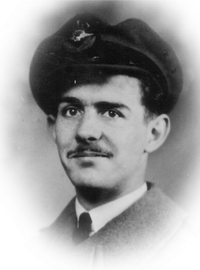 Emrys Bird was born around 1921, the son of Harry and May Bird. He was married and they lived at 14 Garden Row, Sudbury. 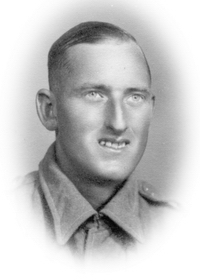 Thomas Codling, known as Tom was born around 1914, one of twins. His parents lived in St. Catherine’s Road, Long Melford. 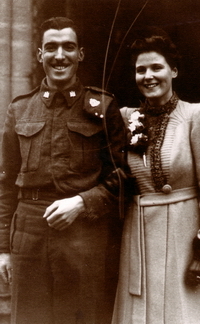 Tom was married and he, his wife and their young daughter lived at 61 East Street, Sudbury. Ephraim Cole was born around 1916. His family lived at 11 Garden Place, Sudbury. 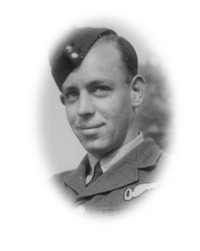 John Flowerdew served with No.102 (Bomber) Squadron, which in 1943 was based at RAF Pocklington in Yorkshire. The squadron motto was ‘Tenate et Perficite’ – ‘Attempt and Achieve’. It was equipped with Halifax Mk2 bombers and took part in operations over Europe including the Ruhr, Hamburg and Berlin. Reginald French was born around 1920. He was the second son of Charles William and Ethel Annie French. The family lived at 5 Middleton Road, Ballingdon, Sudbury. 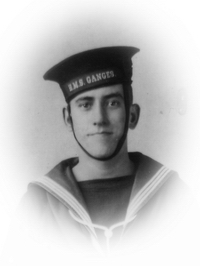 Reginald joined the Royal Navy at the age of 16 and trained at HMS Ganges at Shotley, Suffolk and later served onboard HMS Veteran. 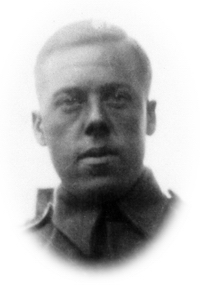 Frederick Griggs was born around 1920, the son of Fred and Grace Griggs. He, his brother and sisters lived with their parents at 1 Orchard Place, Sudbury. 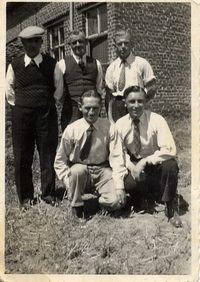 George Henderson was born around 1925 and it is believed came from a large family. He was a ‘Barnardo’s Boy’ and was fostered by Mrs. Horsley of 49 Newmans Road, Sudbury. John Douglas was born around 1921. He was the youngest son of Reverend Canon John Frederick Hughes MA and Elsie Hughes. His father was inducted as the Rector of St. Gregory’s Church, Sudbury on 31st July 1929 and the family lived at The Rectory until 1957. He was also the Mayoral Chaplain. 780932 58 Medium Regiment, Royal Artillery. 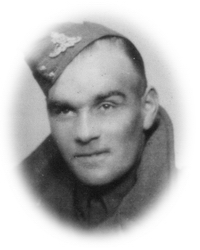 Thomas Johnson was born in Sudbury around 1910 and he lived at 20 Girling Street, Sudbury. Before the outbreak of war Thomas was employed at Bruntons Ltd. and was a Sergeant for several years in the Territorial Army. 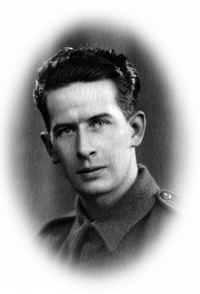 Robert McIntyre was born 23rd April 1910 in Glasgow, Scotland. He was the son of Archibald and Margaret McIntyre. Robert was a textile designer and married to Cecilia (Celia?). The family lived at The Retreat, Cornard Road, Sudbury. 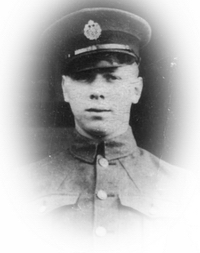 Harold Mills was the younger twin son of Mr. and Mrs. W Mills of 63 Melford Road, Sudbury. He was married to Ethel Collar from Cuckoo Hill, Bures, Suffolk. 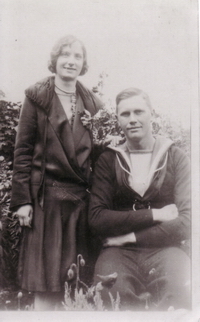 Joseph Moore was born in Darsham, Suffolk in 1909; he was the middle son of Robert John and Bessie Moore. The family moved to Sudbury when he was a small boy and he attended North Street School. Joseph had 2 brothers and 3 sisters and the family lived at 1 Gardenside, Croft Road, Sudbury. His father was employed on the railway. Robert Moore known as Jimmy was born around 1917. He was the youngest son of Robert John and Bessie Moore. The family lived at one time in Darsham, later moving to Sudbury. Jimmy had 2 brothers and 3 sisters and the family lived at 1 Gardenside, Croft Road, Sudbury. His father was employed on the railway. 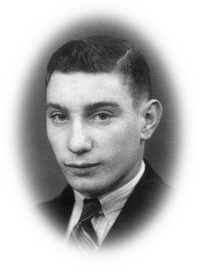 Gerald Mumford was born around 1924. He was the son of Bertie and May Louisa Mumford and the family lived at 18 Garden Row, Sudbury. 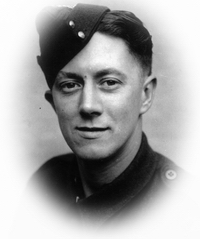 James Pilgrim, known as Jimmy was born in January 1918. The son of Mrs. Maud Pilgrim and the family lived at 34 Mill Lane, Sudbury. He was a good friend of Billy Hurst, who lost his life serving with the army in Italy; they worked together at Bakers Mill, Great Cornard. Joseph Plampin was born around 1912. The family lived at 2 The Mount, North Street, Sudbury. 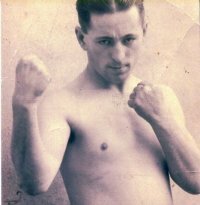 Sydney Reeve was born around 1914. He was the son of Charles Walter and Emma Reeve. The family lived at 16 Humphry Road, Sudbury. Sydney had 5 brothers and 2 sisters. Before the war he was employed at Rippers of Hedingham. 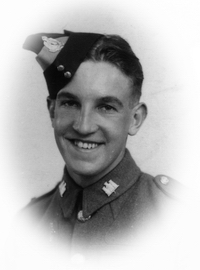 George Risby was born around 1921; he was the son of George and Grace Lily Risby. The family lived at one time at 16 Cross Street, Sudbury and later moved to No. 87. Findon Row (F D W Row on War Memorial) was born around 1915. 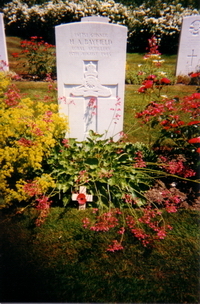 He was the son of Herbert Newton Edward and Margaret Dora Row. The family lived at 4 York Road, Sudbury. 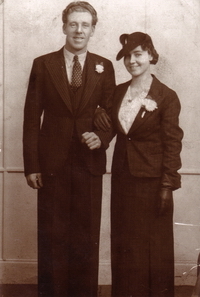 Basil was born around 1912, the only son of Mr. and Mrs. William Sandford. He and his sisters lived with their parents at 9 Inkerman Row. Basil joined the Royal Navy on leaving school. He later married Phyllis. 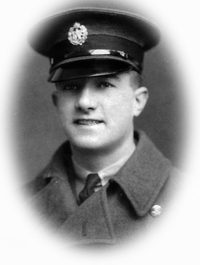 Robert Sargeant, known as Joe was born around 1916, the youngest son of Joseph and Ellen Sargeant. He had 2 brothers and 3 sisters and the family lived at 16 Curds Lane (now Weavers Lane), Sudbury. He attended North Street and Mill Lane Schools. 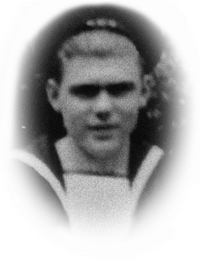 George Seal was born around 1921, the son of Arthur and Susan Elizabeth Seal. The family lived at 81 Ballingdon Street, Sudbury. 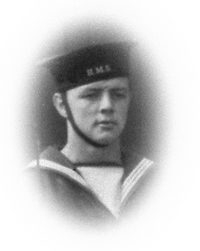 Reginald Seal was born in 1923, the son of Arthur and Susan Elizabeth Seal. The family lived at 81 Ballingdon Street, Sudbury. Before the war Reginald was employed by Mr. Woods, a butcher in Ballingdon. He was engaged to Phyllis Palmer. 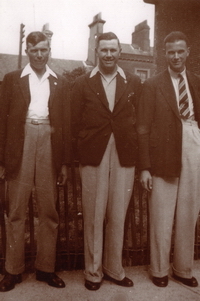 Edward Wordley was born 7th June 1916 and was the youngest child of Henry Charles and Kate Wordley (née Green). He was born on Derby Day and was known in the family by his nickname of ‘Derby’. He had 2 brothers, Henry and Robert and a sister Agnes and the family lived at 5 Cross Street, Sudbury.